What does Trigger Points, Deep Tissue, Treatment massage, swedish massage and cupping have in common? "Ok, so what, I know my blood goes through my body!" You might find yourself asking and saying this to yourself. Well, for those who are more curious than the above, here is why an increase in circulation can be important, almost a necessity. 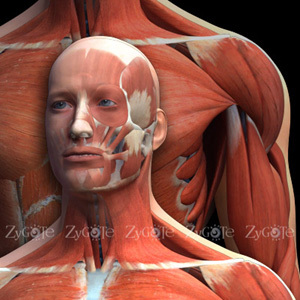 When your muscles are tight, they decrease the blood flow in that area. Decreased blood flow can cause cell death, aches, pain and limited movement. When you have increased circulation through; trigger points, deep tissue, cupping, neuromuscular, and more, the immediate tissue and surround tissues are worked on directly. This work encourages the muscles to uncontract (relax). As muscles relax, they allow more blood flow. As the circulation increases the cells begin to function more fully which helps decrease aches and pain, encouraging healing. There you have the very basics.